Pawel Krzysiek is a communications strategist for the International Committee of the Red Cross (ICRC) in Asia-Pacific. 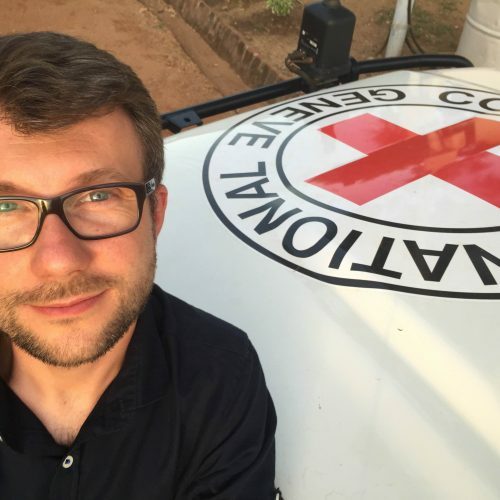 An Arabic-speaker, Pawel is responsible for ICRC’s media and public outreach strategy in the region to raise awareness of the humanitarian situation and to assist people in need to access services. From 2015-2018, this former journalist handled communications in Syria for the ICRC. Much of his work has been to cross the frontline of war zones into besieged towns. He also undertook missions for the ICRC in South Sudan (2014-2015) and Iraq (2012-2014) as well as for UN agencies in Syria and Burundi. He completed an MA in political communication in 2008 at the University of Szczecin in Poland. Gain insight into seeing the world through the eyes of those caught in conflict in this unique masterclass. In collaboration with the International Committee of the Red Cross, explore where the work of journalists and humanitarians can overlap in finding innovative ways to share stories that help capture attention while preserving dignity - and experience virtual reality as an empathy-generating tool. PRE-REGISTRATION and workshop ticket purchase is required (available when buying tickets).